Dr. Rodriguez de Leon is a beloved pastor, theologian, seminary professor, church statesman, international conference speaker, and friend to a world-wide community of Reformed church scholars and leaders. As pastor Dr. Rodriguez led the largest Presbyterian church in Ciudad Victoria, where he both established a local extension of graduate theological studies (with the Juan Calvin Theological Seminary, Mexico City), and also co-founded, with Dr. Carlos Gutierrez, the dynamic Christian school Colegio Renuevo, serving on its Board for many years. 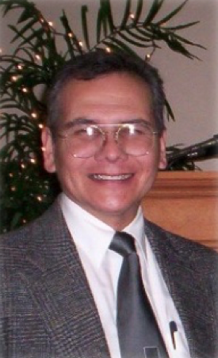 In the last decade Dr. Rodriguez was tasked by his denomination, the National Presbyterian Church of Mexico (NPC), first as national Minister for the General Assembly, heading up the Evangelism Secretariat, then, together with an appointment by the Presbyterian Church of America (USA), as a Minister-to-ministers based in Monterrey, Mexico. Most recently, he is serving as the Vice President of the Executive Committee of the NPC’s General Assembly. In addition to all the above, Dr. Rodriguez is also currently an NPC pastor in Monterrey, where he additionally is one of the Directors of the large, semi-independent Center for Church Planting, funded by the NPC/PCA.